Lance Ulanoff joins the show for a fun back and forth about what we think Apple needs to do better in 2019. There are plenty of things they did right in 2018, but plenty of things that need real work. What do YOU want think they can do? 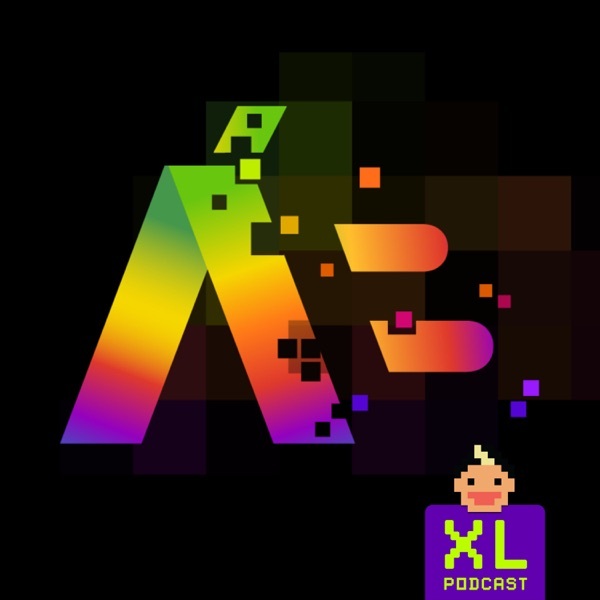 Call in to the show at 833-888-ABXL(2295) or email applebitzshow@gmail.com You can help support this show and ll my independent content at https://www.patreon.com/briantong THANK YOU! Qualcomm is trying to force Apple to settle as an iPhone ban puts pressure on the Big A before their iPhones are taken off the shelves. Intel drops their new 'Sunny Cove' processors for the next-gen Macs and the ugly AF iPhone battery case is coming for the XS, XS Max and XR. You can call into the show at 833-888-ABXL(2295) or send an email to applebitzshow@gmail.com You can also support this independent Podcast for an Ad-Free version at https://www.patreon.com/briantong THANK YOU! Apple drops a whole bunch of software updates from iOS 12.1.1 that fixes the FaceTime flip screen button mess, and expands eSIM support. Apple’s ECG feature finally arrives on the Apple Watch and new reports claim the all-new AirPods won’t be coming until 2020, but we’ll get wireless charging in early 2019. But what about AirPower? And the iPhone looks to get 5G by 2020...at the earliest. Apple comes out to defend its iPhone sales after multiple media reports claim they are slowing down. Greg Joswiak says the iPhone XR has been their top selling iPhone since launch, but what about phone sales in general? Oh yeah, you guys won't tell us that anymore. Microsoft surpasses Apple to become the most valuable U.S. Company, and what are your future tech predictions? It's an interview with Apple's poster child for the iPad Pro, Rob Generette III aka RobZilla. Take a peek at his amazing artwork with the NBA, NHL, MLB and more before you listen to this interview at instagram.com/rob_zilla_iii and enjoy us talking about how an artist at the highest level uses the iPad Pro. Call into the show at 1-833-888-2295 or email questions to applebitzshow@gmail.com You can support the Podcast for an AD-FREE version and all my content at www.patreon.com/briantong THANK YOU! Some early accounts show the iPad Pro might be prone to having bending issues. Sure you can bend anything if you really try, but we'll see if this is an actual widespread issue or not. Spotify's Apple Watch App is officially out and Apple is recruiting people from Qualcomm to help them build their own wireless modem. It's all the latest reviews and impressions for the iPad Pro, MacBook Air and Mac Mini. Plus, what do you think about Samsung's foldable phone? And Apple's working on over the ear headphones with HomePod tech inside them. Call into the show at 1-833-888-2295 or email questions to applebitzshow@gmail.com You can support the Podcast for an AD-FREE version and all my content at https://www.patreon.com/briantong THANK YOU! Rich De Muro joins the show to talk about Apple's Event that he was in attendance for. We get his take on the Mac Mini, the iPad Pro, the future of USB-C and has Apple completely forgotten about their Pro users? You can check out more of Rich's work at richontech.tv You can call into the show at 1-833-888-2295 or email questions to applebitzshow@gmail.com Thanks! It's a breakdown of all the Apple announcements for the new iPad Pro, MacBook Air, Mac Mini and iOS 12.1. Plus, is Apple getting carried away with their entry level pricing for everything from iPhones to iPad and Macs now? You can call in to the show at 1-833-888-2295 or email questions to applebitzshow@gmail.com Thanks! This week’s Earlybirdbooks.com selection is Neil Gaiman’s Don’t Panic: Douglas Adams & The Hitchhikers Guide to the Galaxy. An amazing companion guide to the famous scific/trippy novel of the same name. Go to http://bit.ly/dontpanicbook and add the book to your shopping cart. And don’t forget to use promo code APPLEBITZ at checkout to receive 60% off your ebook order. The iPhone XR Review are in but the 'R' in XR means nothing. New Macs are revealed less than a week before Apple's October 30th keynote, and the iPod is 17 years old! You can call into the show at 833-888-2295 or email questions to applebitzshow@gmail.com Thanks! Apple sends out the official October event invitations for the rumored iPad and Mac Event. The iPhone XR goes on pre-order and the Mickey Mouse 90th Anniversary Beats headphones are atrocious looking. You can call into the show at 1-833-888-2295 or email questions to applebitzshow@gmail.com Thanks! Tech Reporter Rich DeMuro joins us for the show. Reviews for the new MacBook Pro are in and most of them are extremely positive. On the flip side, YouTuber Dave Lee has found that power users may be getting a MacBook Pro that can't handle the heat of the new i9 and is throttling its speed. New iPhone leaks as usual, and if you're single, you might want to get an iPhone. Apple drops a surprise on us with new 2018 MacBook Pros that still have that horrible Touch Bar. The Mac mini is finally getting updated after nearly 4 years. The 6.1 inch LCD iPhone will be getting an edge-to-edge display like the OLED iPhone X thanks to a new chip. Sonos gets AirPlay 2 functionality for the first time ever and now there’s really no reason to get a HomePod. Plus, I know what the color orange looks like. The only way to recap WWDC 2018 is to talk about it. Jon Rettinger, the head Buffalo at TechnoBuffalo joins the podcast, drops an EXCLUSIVE on his new project and has called my liberation “free Tonging”. It’s everything we liked, and what we didn’t like from WWDC 2018. All indications say WWDC 2018 is going to be a software heavy event with little to no hardware showing up this year. iOS looks to bring Digital Health, ARKit 2.0 and new Animojis, but its going to be a year of refinements and stability improvements. Maybe we'll get surprised with new Macs, but be prepared, it's all about software. WWDC 2018 invites are out, you can now download a copy of all the data Apple knows about you and Apple's A12 chip for the iPhone has started production. The sixth beta for iOS 11.4 tells us the official release is coming soon. HomePods only made up 6% of smart speaker sales with Alibaba topping them. I didn't even know Alibaba had a smart speaker! Plus, Apple vs. Samsung is the $1 billion case that won't go away. If you're an Apple fan, its time to wake up. Google just released their latest innovations with the Google Assistant at Google I/O. Siri isn't just behind anymore, its light years behind. We could still see a round face Apple Watch and it's the 20th Anniversary for the iMac G3. Apple iPhone sales are doing just fine after a record earnings report. Reports say Apple is working on their own standalone VR headset but they're already behind. Plus, the iPad is making a comeback...kind of. Apple is no longer in the AirPort Wireless router business. New photos claim to be the new iPhone SE 2, Samsung says its OLED panel demand is down and pointing to Apple. Plus, Kanye wants to sit down with Tim Cook. Mark Gurman of Bloomberg joins the show to talk about declining iPhone sales, will Apple finally bring us a MacBook/iPad hybrid in the next 5 years? And why Apple should just blow up Siri and start over. A new iPhone cracking tool can unlock an iPhone's 4-digit passcode in 6.5 minutes and a 6-digit passcode in 11 hours with the GrayKey box. The next iPhone could be getting dual SIM support, Greenpeace isn't too happy about the Apple's new disassembly robot Daisy and stop snoring with your Apple Watch. Apple can't be thrilled with HomePod sales. Consumers aren't thrilled with what it can do for $349. So make a better product. The (PRODUCT) RED iPhone 8 and 8 Plus are on sale, a cheaper HomePod could be coming this year and Apple Music hits 40 million subscribers. Plus, Brian's first parody of the year. HomePod Apple Style! Apple official announces the new modular Mac Pro is coming in 2019. Intel's latest Coffee Lake processors could bring us a six-core 15-inch Mac Book Pro, but Bloomberg reports Apple is planning to use its own chips in Macs in 2020, replacing Intel. Plus, Apple snags Google’s AI Chief.